You are here: Home / All blog posts / By Jove, I think I’ve got it! I got up this morning and started working on doubleweave again.Â And I really think I’m getting it! 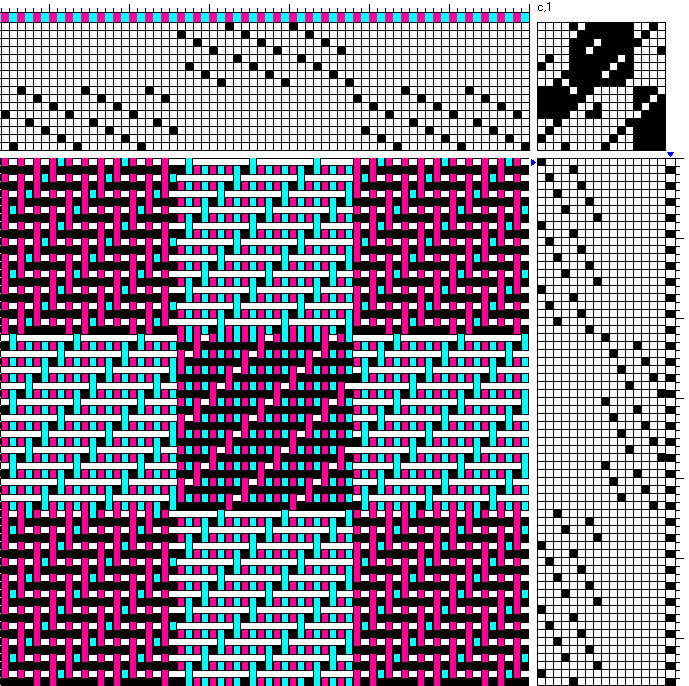 Pat had shown me how to create a drawdown by creating an image in Photoshop, then filling in the various components of the drawdown with the particular doubleweave pattern that I wanted, then using the Fabric Analysis tool of my weaving software to create the actual drawdown. 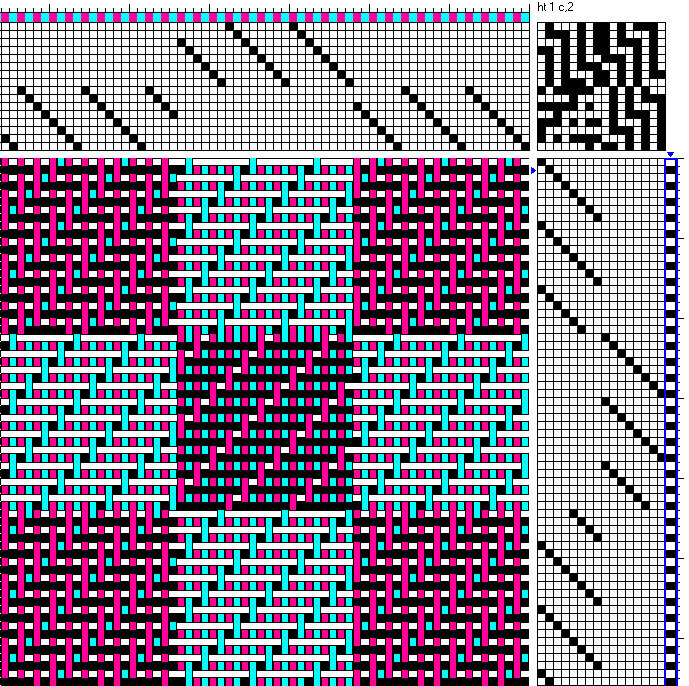 Let’s open the .bmp file associated with this puppy using our weaving software (in my case, Fiberworks PCW) – I’ve uploaded it here so you can pull it down if you like – and see what happens. Needless to say, this method works best if you limit your original drawing to whatever you know you have the shafts and treadles to weave.Â Otherwise it’s pretty easy to generate a drawing that you don’t have the shafts to weave.Â But it’s a very nifty trick, no?Â Kudos to Pat for coming up with it, and explaining it to me. Next on the agenda: figuring out how to use doubleweave presets in the liftplan to create more organic effects. Lots of meat in this post. Thanks for the post and process descriptions – I’m eager to try it for myself.